- 解決 hostnames 與 IP 配對. 2. Failover clustering 服務將當前 failing node 上的角色與功能轉換給最適合承接的節點繼續工作，這個判斷是由法定人數判斷 (defined by the quorum). 而此轉移也包含了 負載平衡上後端 IP 與當前運行的主機 VM 的指派轉換. • The Compute Engine agent for the VM named wsfc-2 is responding to the health check with the value 1, indicating it is the active cluster node. For wsfc-1, the response is 0. • The load balancer is routing requests to wsfc-2, as indicated by the arrow. • The load balancer and wsfc-2both have the IP address 10.0.0.9. For the load balancer, this is the specified frontend IP address. For the VM, it’s the IP address of the application. The failover cluster sets this IP address on the currently active node. • The failover cluster and wsfc-2 both have the IP address 10.0.0.8. The VM has this IP address because it currently hosts the cluster resources. • 建立兩台 Windows Server 2016 Compute Engine 虛擬機 (VM). 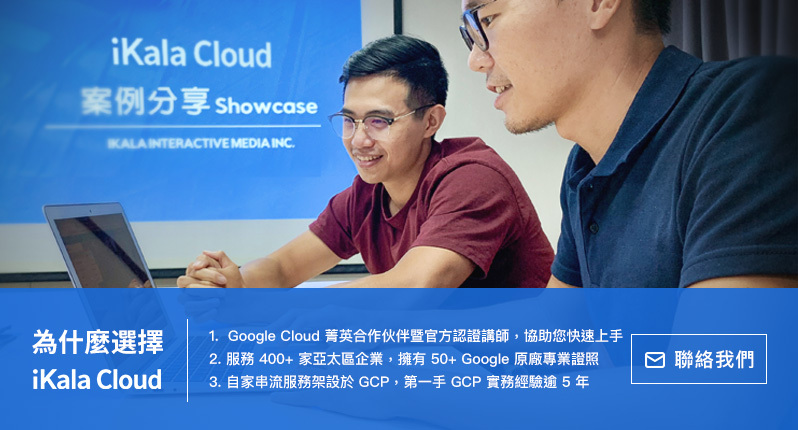 • 設定容錯移轉叢集 (failover cluster)，並建文件共享見證 (file share witness for the quorum) 和工作負載的角色 (role). • 建立新的 instance 名稱為 wsfc-1. • 透過 flag 設定 –zone 指定你想配置的資源在何處. 置換指令中的 [YOUR_ZONE]，如 us-central1-a. • 透過 flag 設定 –machine-type 為 n1-standard-2. • 透過 flag 設定 –image-project 為 windows-cloud. • 透過 flag 設定 –image-family 為 windows-2016. • 透過 flag 設定 –scopes 為 https://www.googleapis.com/auth/compute. • 透過 flag 設定 –can-ip-forward flag 啟用 IP forwarding. • 透過 flag 設定 –private-network-ip 為 10.0.0.4. • 設定網路為 wsfcnet 並一併設定 subnetwork 至 wsfcnetsub1. • 建立新的 instance 名稱為 wsfc-2. • 透過 flag 設定 –private-network-ip 為 10.0.0.5. • 建立新的 instance 名稱為 wsfc-dc. • 透過 flag 設定 –private-network-ip 為 10.0.0.ˊ. • 設定 NetBIOS 網域名稱為 WSFC (系統會自動抓取，只要稍微注意一下即可).